I'm so excited to introduce you to my second ever brand spotlight post, because this one is a little bit special. Before Supernatural Beauty was born I was introduced to Jenny (the founder, maker and creator) because she won one of my giveaways! I followed her on twitter and was pleased to discover she was developing her own line of beauty products. This was a really long time ago now, over a year. Her range was small and she didn't have an online store or much online presence at all, and then one day, all of a sudden a couple of months back Supernatural Beauty appeared, and I couldn't believe it! So exciting. 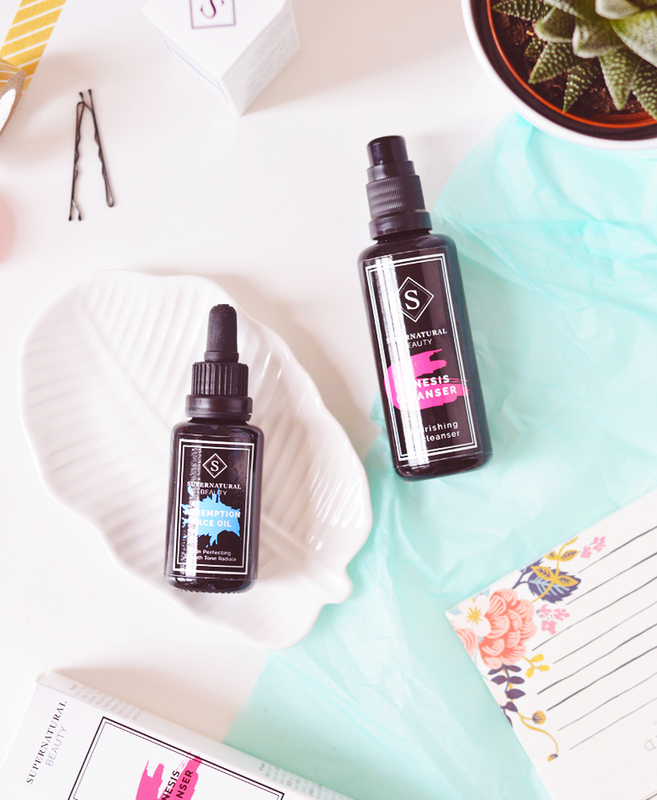 Jenny jetted off to the Indie Beauty Expo to debut her range (that's quite the trip, most people would just tweet about it) and it was met with great success. 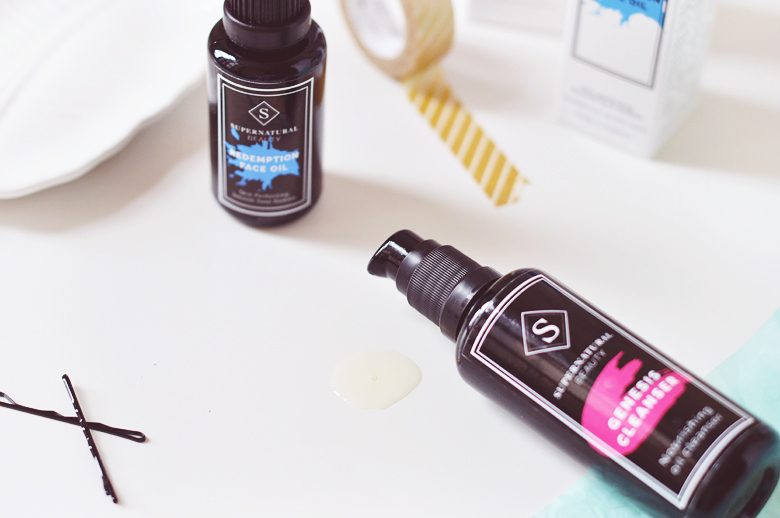 I've been testing two products from the range for a little while now and they're just lush. First up we have the Genesis Cleanser (£24) this 100% organic, pure oil cleanser is a real nourishing treat for skin, especially with the colder weather sapping moisture from everything! The oil itself is lightweight and easily massaged into skin - it removes all makeup in mere moments and deeply cleanses to remove dirt and impurities. Supernatural Beauty recommend massaging for up to 2 minutes to really revive the complexion, and I have to say it really works. I save this for heavy makeup and when my skin is feeling stressed and dry and it's so lovely, my skin feels petal soft after removing with a warm cloth. 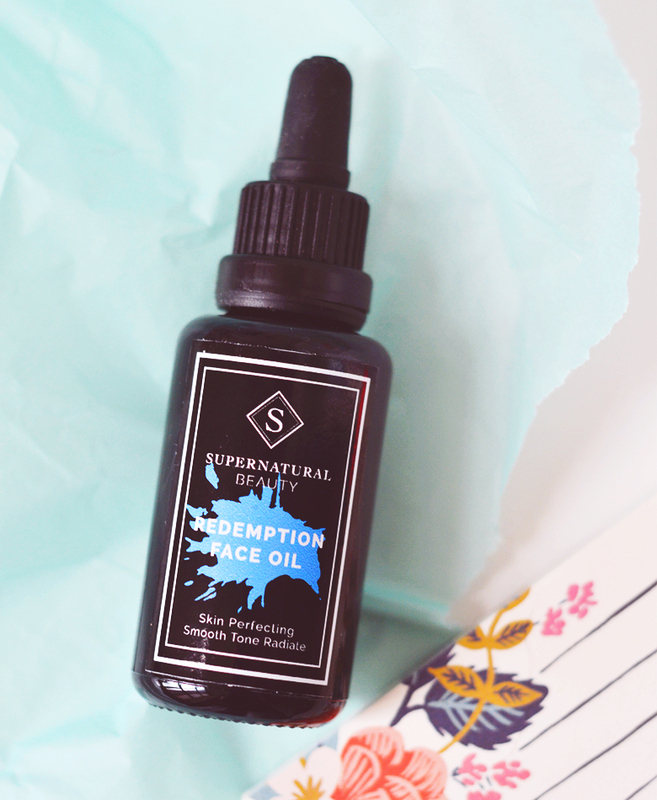 I've also been using the Redemption Face Oil (£45) which is again 100% organic and a beautiful blend of rosehip, abyssinian oil, grape seed, evening primrose and more. I had never heard of abyssinian oil before, unusual for this self-proclaimed ingredient know-it-all, but for those wondering it's similar to jojoba, very silky and similar to the skin's own sebum. It is high in omega 9 fatty acids and absorbs quickly to relieve dehydration. The face oil itself is wonderfully rich and nourishing for my skin. I can't use this everyday as my oily, acne prone skin is easily overwhelmed, but every 2 or 3 days at night gives my skin a boost of moisture, vitamins and come morning my skin is glowing and any red areas look calm. Ingredients: ROSA CANINA (ROSEHIP) FLOWER, CRAMBE ABYSSINICA SEED OIL, VITIS VINIFERA (GRAPE) SEED OIL, CAMELLIA OLEIFERA SEED OIL, OENOTHERA BIENNIS (EVENING PRIMROSE) OIL, ROSA CANINA FRUIT (ROSEHIP) EXTRACT, TRITICUM AESTIVUM (WHEAT) GERM OIL, POGOSTEMON CABLIN LEAF EXTRACT, PELARGONIUM GRAVEOLENS (GERANIUM) FLOWER OIL, ROSA DAMASCENA FLOWER (ROSE OTTO) OIL, ROSMARINUS OFFICINALIS (ROSEMARY) LEAF EXTRACT, DAUCUS CAROTA SATIVA (CARROT) SEED OIL all ingredients labelled are organic. I asked Jenny a few questions below so you could get a feel for the brand from her, too! enjoy.. I've followed the Supernatural story from the beginning and it's so lovely to see the final outcome. What inspired you to create the range? I was creating natural formulas to treat my sons eczema and my hormonal dry skin and when we saw the results we started sharing it with friends and family and it all took off from there. I’ve always been in love with cosmetics. My mother was amazing at teaching and inspiring me to care of my skin. She taught me the importance of a consistent and thorough skincare routine and the long term benefits of taking care of your skin with quality ingredients. What's been the biggest challenge bringing SNB to life? Time and money. I love the creative side of skincare, formulating and researching ingredients and creating the brand, but the time and money side to business has been an enormous learning curve, especially since I launched the brand whilst being a stay at home mum to four small children. What's your starting point for creating a new product? Need. 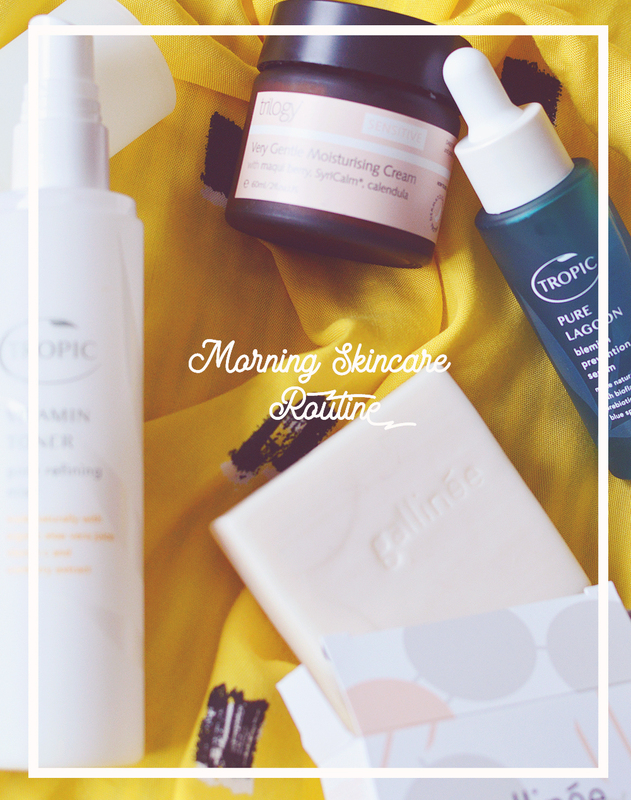 I always formulate a product to meet a skincare need. Effectiveness and results is my highest priority and that’s my starting point for choosing formulas. How do you select the ingredients that make it into a formula? Starting with the skincare need I'm trying to meet is the first step to narrowing the field, then application and sensory feel determine the other ingredients. Was it important to you that all of your ingredients (where possible of course) be organic? why? Absolutely. In the beginning I couldn’t afford to buy all organic, but when I read a study that they had scientifically proven organic ingredients to be more effective and carry higher amounts of vitamins, nutrients and antioxidants than natural ingredients I knew that would be a top priority when we launched, thus the higher price point. If you had to choose just one product from the range as a favourite, which would you pick? I always struggle with this question because as a mother it’s like asking me which one of my kids do I like the most! But it has to be the Miracle Balm. It has 16 different oils, Shea butter, beeswax and supercritical calendula co2 extract and it’s 100% organic! It was the formula that got rid of my sons eczema and I’m constantly finding new ways to use it and always get visible results. What's next for Supernatural Beauty? Any upcoming products? I have two amazing face creams in the works, but we won’t be releasing any new products till next year. Right now we’re focusing on launching into our first store in the UK in early 2016. We’re very excited about the collaborations and exclusive products for their store. We’ll be able to reveal more soon so watch this space! 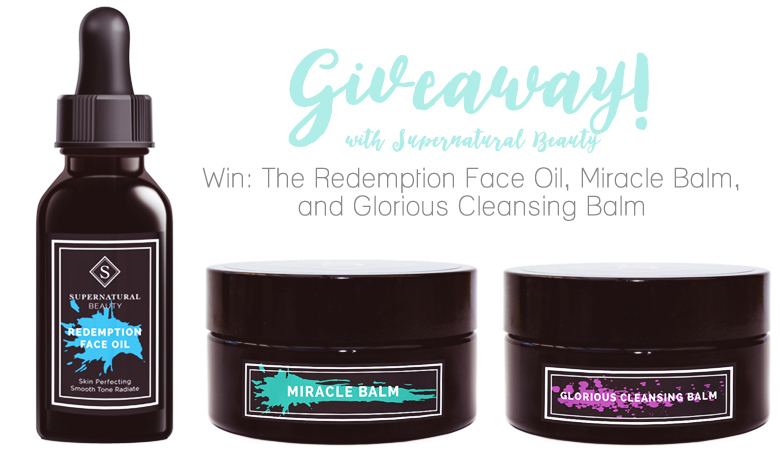 One person will win a full-size Glorious Cleansing Balm (£36) full-size Miracle Balm (£36) AND Redemption Face Oil (£45). All you have to do is enter using the rafflecopter form below and follow the instructions to enter, there are several different options to wrack up some entries!